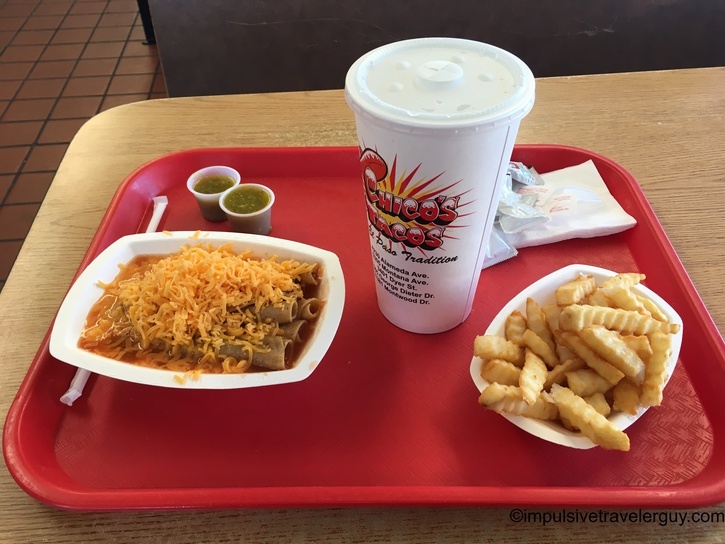 Chico’s Tacos is a staple of El Paso and the chain is exclusive to El Paso. Comedian Gabriel Iglesias is also a fan Chico’s Tacos. The first time I was in El Paso, I asked a friend who grew up there what are some good places to go in El Paso. He recommended Chico’s Tacos. From what people have told me the founder wanted to keep Chico’s Tacos only in El Paso and did not want to franchise it. He also only wanted to open a store for each of his kids. With that, there are only 4 open stores now (the 5th on Montana just closed). It is also very old school in the way that they only accept cash. Since I was going to be working in El Paso, and be there for the weekend, I figured I’d hit up every single Chico’s Tacos. I decided to make a blog entry for every single one. I did eat their signature rolled tacos, but also tried some of the other things on the menu. Overall, Chico’s Tacos is good. If you’re ever in El Paso, make sure to order a double order. I know I will be doing that on my next visits. 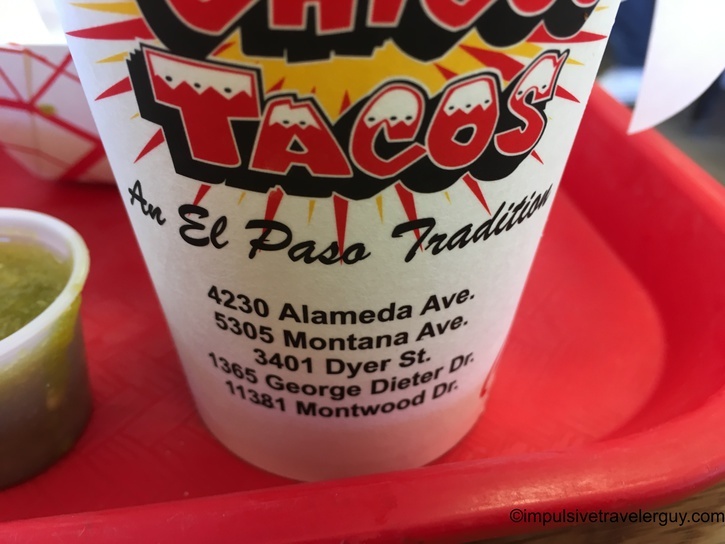 Next post: Chico’s Tacos Alameda Ave.